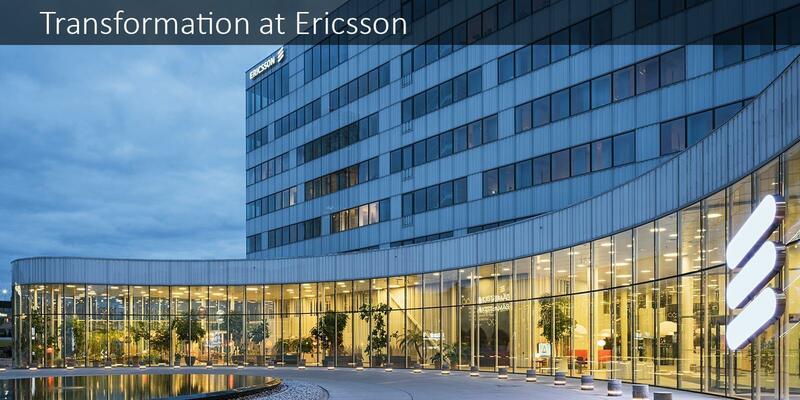 Ericsson made a complete shift from plastic water bottles to Drinking Water Stations, resolving their constant hassle with the bottled water vendors and reducing the carbon footprints by 65 %. The company also cut down on annual spent on water to 70 % along with providing hygienic source of water (complaint to BIS norms) to its workforce. Ericsson is shaping the future of mobile broadband Internet communications through its continuous technology leadership, helping to create the most powerful communication companies in the world. The company keeps employee engagement at the heart of its brand making sure they get best of the work environment at its offices. .
Keeping the employees hydrated through a workday is essential for an employer and Ericsson being a company high on employee engagement sought a best possible solution for this. Ericsson sourced drinking water from bottled water vendors and made sure that water quality and quantity is unperturbed by external variables. However, the facility management team constantly suffered seasonal fluctuations in supply, tracking issues and stock maintenance. The company also wasted a lot of office space in stacking the water bottles along with energy wastage on cooling system along with the 20 % extra manpower cost in making the water bottles reach respective point of use locations and loading to the dispensers. Apart from the inconvenience and cost, bottled water also posed a threat to employee wellbeing as water kept in plastic bottles tends to leach harmful chemicals along with microplastics. Ericsson switched to Drinking Water Stations, which are Standalone Point of Use Purification Stations with inbuilt reservoirs and 2 temperature settings for dispensing hot and chilled water. Drinking water stations also come with 6 stage purification system that can purify raw water from any source to pure water with perfect TDS range along with cutting down microbial contamination through firewall technology. Drinking water stations also eliminate water wastage through integrating the output feed to washrooms. Switching to Drinking water stations empowered Ericsson to say no to bottled water along with realizing following benefits. Economical: Ericsson made an investment in long term solution with a payback period of just 1 year along with annual saving of USD 135,370 from second year onwards. 22,245 bottles were removed from the circulation which meant 100 sq ft of office space saved and put to productive use. Healthy: Recently, WHO issues a health review owing to the findings that revealed presence of microplastics in bottled water in water bottles from most brands along with an FDA report stating heavy microbial contamination after storage in plastic water bottles. Removing water bottles from circulation enabled Ericsson to protect its workforce from health hazards of bottled water. Convenient : Bottled water sourcing requires an array of tasks required to maintain a steady availability of bottled water at the workplace. Vendor tracking and stocking of enough water bottles leads to added administrative costs along with wastage of office space. Delivering and loading water bottles at every possible dispenser in the office campus takes countless manhours and tracking time. Drinking water stations cut down the manhours as well as the administrative effort to a considerable extent. Green: Removing 22, 245 water bottles from the circulation resulted in direct as well as indirect impact on Ericsson’s carbon footprints. 96,098 kg CO2e/annum was cut as a direct impact resulted from cutting on carbon dioxide due to manufacturing and incineration of plastic water bottles. 14,308 kgCO2e/annum was cut as an indirect impact due to carbon emissions during logistics and fuel consumption in delivering the water bottles to the site.